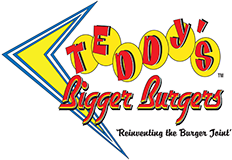 THEY’VE been punching out patties faster than they like at Teddy’s Bigger Burgers, where long lines have been snaking out the door since the 50’s-style burger joint opened in Kailua last week. “We didn’t know there were that many people in Kailua,” said Rich Stula, part-owner of the little restaurant off Hahani Street and Kailua Road. The blitz has been a surprise to Stula and partner Ted Tsakiris, who have run out of food and other supplies and had to nearly double their staff from 14 to 26. Sporting a black-and-white linoleum floor and other details reminiscent of the 1950’s, Teddy’s tries to keep things simple. The opening came just days after the closing of Andy’s Drive-Inn, a hamburger hangout in Kailua for more than 40 years whose closing was lamented by old-time customers. Andy’s owner, Ben Lum, said business was good but he wanted to retire. Stula and Tsakiris, both 30 and friends with a penchant for backyard grills, ventured into the restaurant business last year when they opened Teddy’s Bigger Burgers on Monsarrat Avenue near Waikiki. Unable to get a loan, they scraped together what they could to open the tiny eatery on a shoestring. The business did well enough to expand to a second location, the new Teddy’s in Kailua, at a cost of about $200,000. The menu does include a few other items, like grilled chili peppers, sauteed mushrooms, chicken and veggie burgers. But Stula is proud of his hamburgers, which he says are hand-patted from top-quality ground beef. A basic 5-ounce burger with all the fixings, priced at $3.75, is a challenge to bite into. But the ante goes up with 7-ounce, 9-ounce and even double burgers weighing in at 18 ounces of meat. Waiting for his order at the Kailua location Monday was Robert Asari, a 70-year-old Kailua resident curious about the new place. “I just saw the crowd and decided to try something new,” he said. Peter Tsuru, 24, a college student and Kailua resident, was similarly experimenting. “It’s a nice place,” he said. Harry Draper, 80, and a visitor from Corona, Calif., heard about Teddy’s from relatives and others who’d recommended it. Stula said his goal in opening the new Teddy’s had been to equal sales at the Monsarrat flagship _ about 300 hamburgers a day. Business so far has been double that, a pace the fledgling entrepreneurs didn’t expect and and aren’t sure they want.